"Aging faster than a speeding bullet. 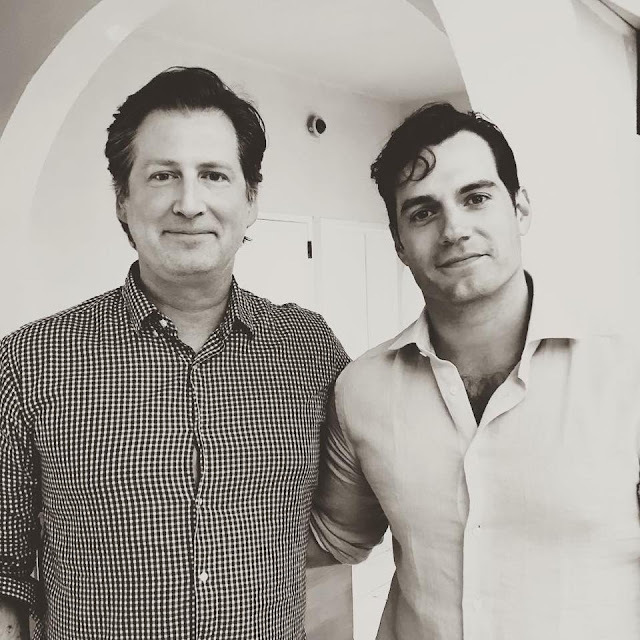 Exciting pro tip: if you want to accentuate your age and remind yourself just how light you lift at the gym, get photographed next to @henrycavill." Adam Cooper posed for this photo with Henry in Los Angeles and just shared it tonight. Thanks. Nice photo. Must be older? His hair cut looks different than the recent keys pic. If funny, both of their shirts look like the buttons are gonna pop off in the same place. haha. WHERE ARE YOU MY LOVE?? Wow! He's even hotter in black and white! Oh, look at that! *smiles* Thanks, Adam. D.